Inspired Youth is a pleased to be a delivery partner for the Action Towards Inclusion project. 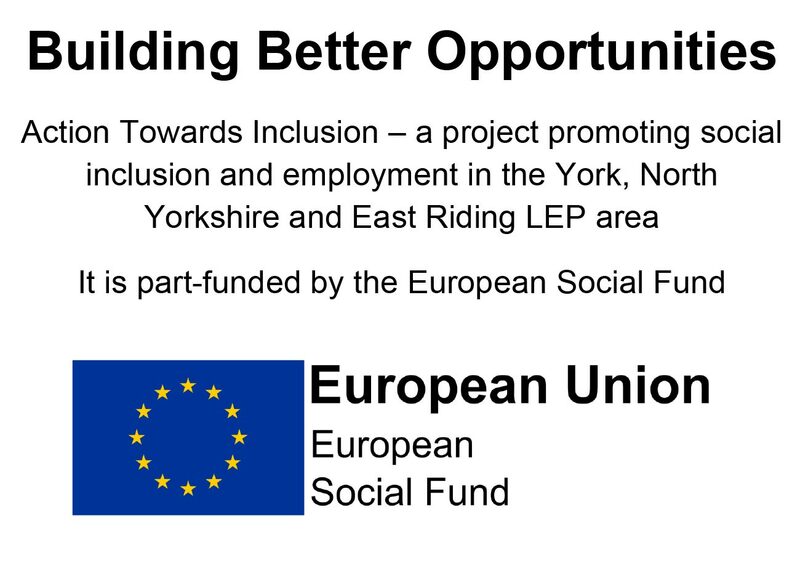 This £7m programme is a three year project funded by the Big Lottery and the European Social Fund for the York, North Yorkshire and East Riding LEP area. The programme offers flexible support to help adults overcome physical, psychological, financial and skills-related barriers and progress towards employment, training, education and job-search, whilst at the same time helping to combat a range of social issues including poverty and social exclusion.